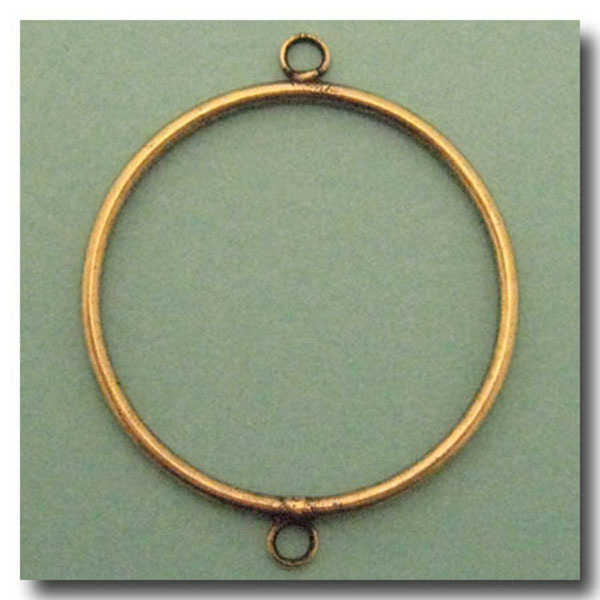 ANTIQUE BRASS ARTISAN MADE RING w/LOOPS. FINISH: Antique Brass. 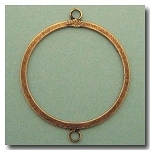 BASE: Brass base. 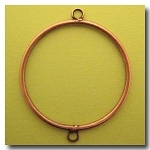 STYLE: Flat Ring with loop on each side. DIMENSIONS: Ring O.D. 40mm, I.D. 38mm. Loop I.D. 3mm. It is easy to use and offers great versatility and many design possibilities such as: to link chain, create earrings, hang pendants. Each piece is artisan created. Slight variations in casting may occur.